Clarks is offering Extra 25% Off Top Picks Via Coupon Code "TAKE25". Plus Get Etxra 15% off When You Subscribe to Clarks Emails. Shipping is free. 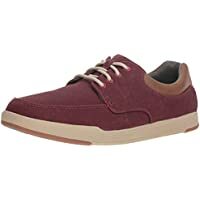 Get Clarks Step Isle Lace Mens Shoes (Several Colors) from Clarks. Clarks has Up To 70% Off Private Outlet Sale. Plus get Free Shipping.